20 minute online videos are free to watch now - sing along with the friendly animals! 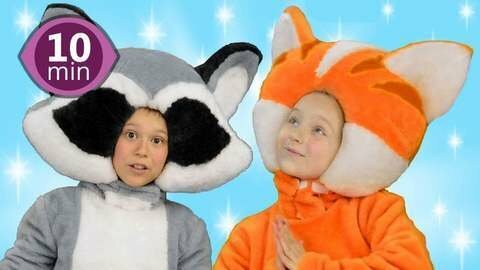 Multiple 20 minute episodes featuring kids in animal costumes singing fun nursery rhymes are free to watch online! Stomp your feet with little brown bear as the kids in animal costumes sing If You’re Happy and You Know It, and sing along to The Wheels on the Bus as rabbit drives! Non-stop episodes are free to watch online at SeeZisKids.com!